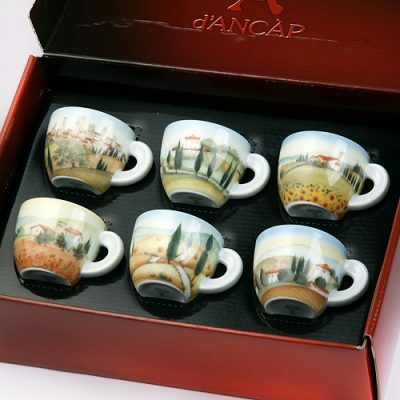 This series of Ancap Italia in Bici cappuccino cups celebrates a means of transportation celebrated by coffee lovers across the world: the bicycle. The simple black design of the Italia in Bici series provides an elegant contrast against Ancap’s pure white porcelain. The Giotto styling of the cups’ handle is an original design by Ancap meant to celebrate the famed story of Italian painter Giotto di Bondone’s freehand of a perfect circle. 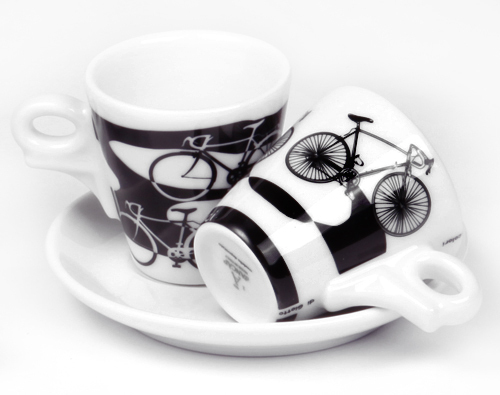 These Italian porcelain cappuccino cups with saucer feature a range of bicycle themed black and white designs. 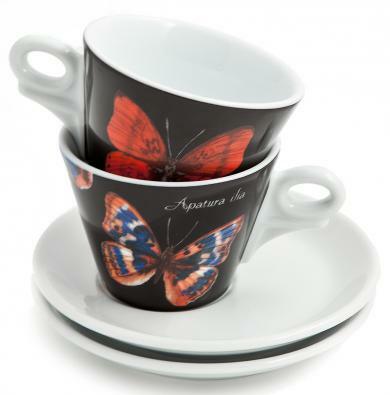 Look to pair a set with a set of espresso cups.